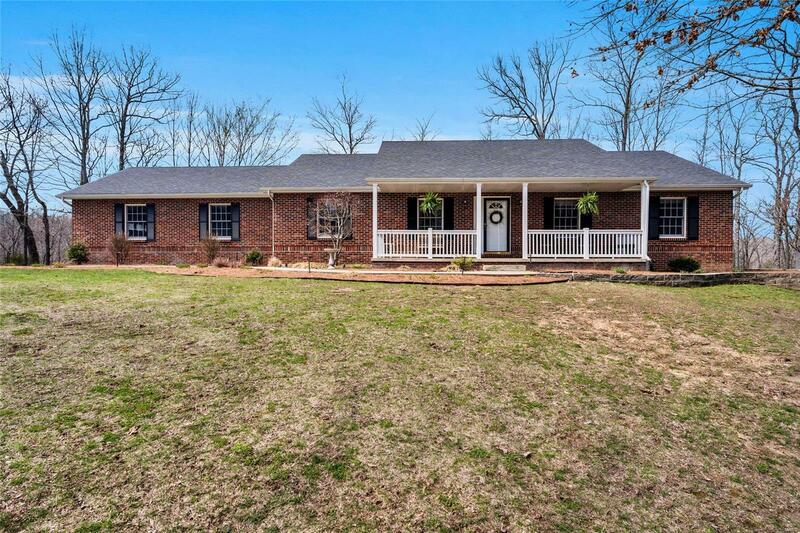 Custom built 3 bedroom ranch home nestled on nearly 3 acres! As you approach the home note the scenic wooded views, beautiful brick front, tidy landscaping, & charming covered front porch. Step inside to find the family room featuring lovely hardwood floors, vaulted ceiling, & brick fireplace. The open floor plan leads from the family room to the gorgeous eat in kitchen boasting granite counter tops, breakfast bar, cabinets w/ crown molding, stainless appliances, and dining area w/ walk out to the spacious sun room with heating & cooling. The main floor master suite features a walk in closet & attached master bath w/ dual vanity, make up area, jacuzzi tub & separate shower. Also on the main level find bedrooms 2 & 3, full hall bathroom, & laundry room w/ mop sink. Step down to the finished lower level to find the office, 2 bonus rooms, full bathroom, & large living area w/ walk out to the spacious patio w/ stairs leading to the sunroom/deck.